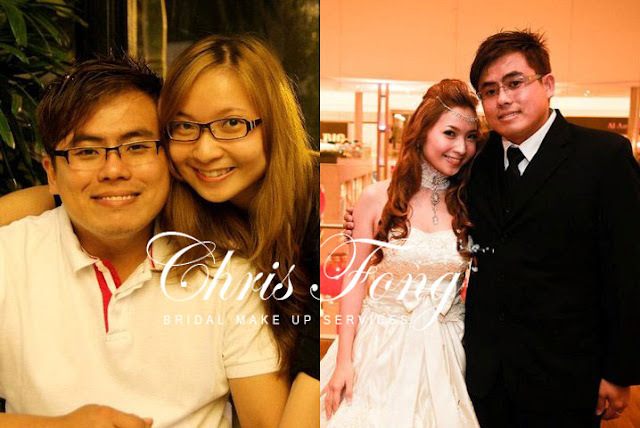 The older post I wrote about Chris Fong became the undisputed most popular bridal makeup artist page of WEDresearch wedding blog. It fetched in total of 1510 hits, the all time highest with the most Facebook LIKES. Hence there's little reason for me not to write another blog review on this popular MUA. 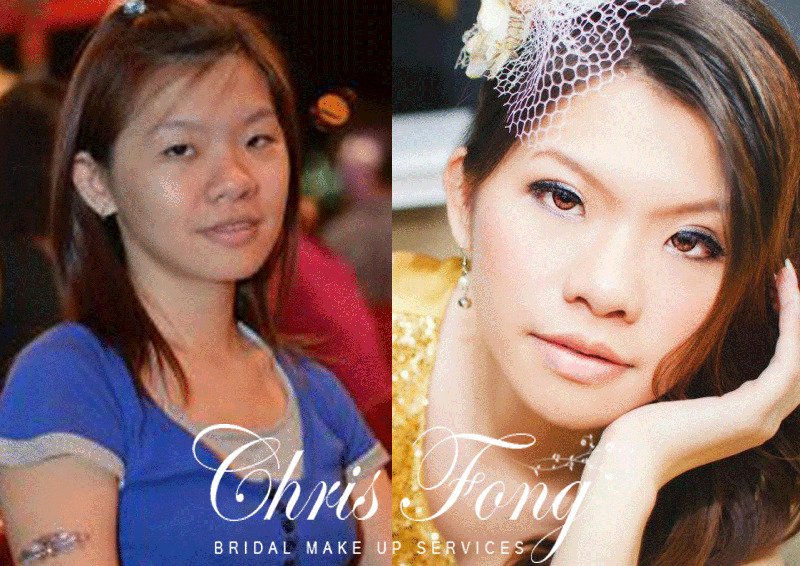 I was initially drawn to her by the "before and after" makeup photos on her official websites. The transformation was unbelievably amazing. I thought she created wonders with her proficient fingers. 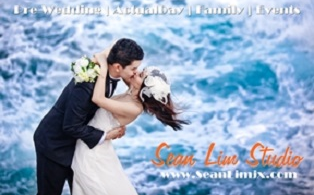 With this post I have carried out a more in depth study and gathered better understanding on her bridal styling. 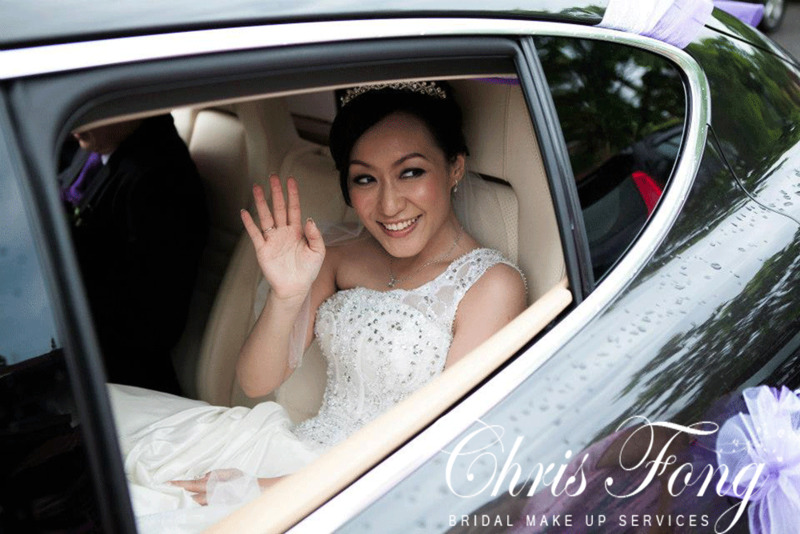 Chris understands every bride's desire to be beautiful and to photograph well. She is going to make you look like the best version of yourself not someone barely recognizable. After a session of careful analysis on the results she delivered, I am now more convinced of the reason she's so widely admired. 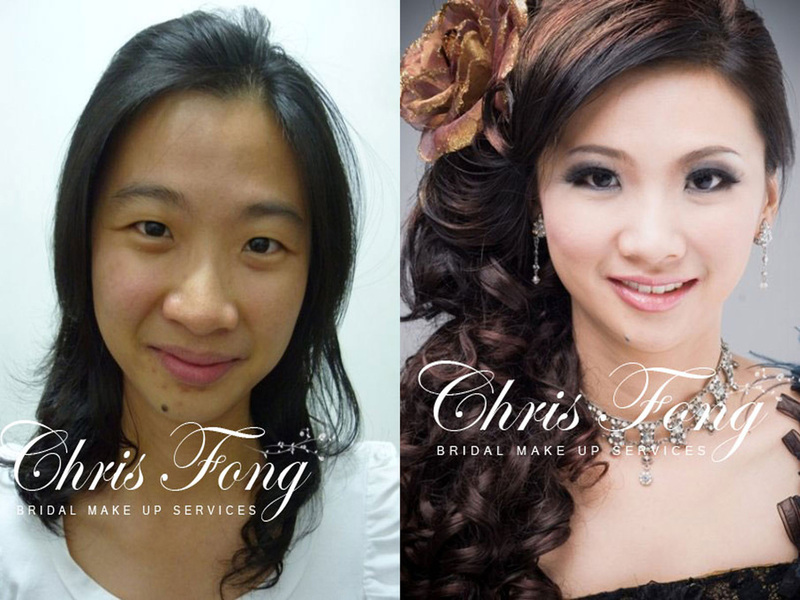 The bridal makeup is not over-applied. 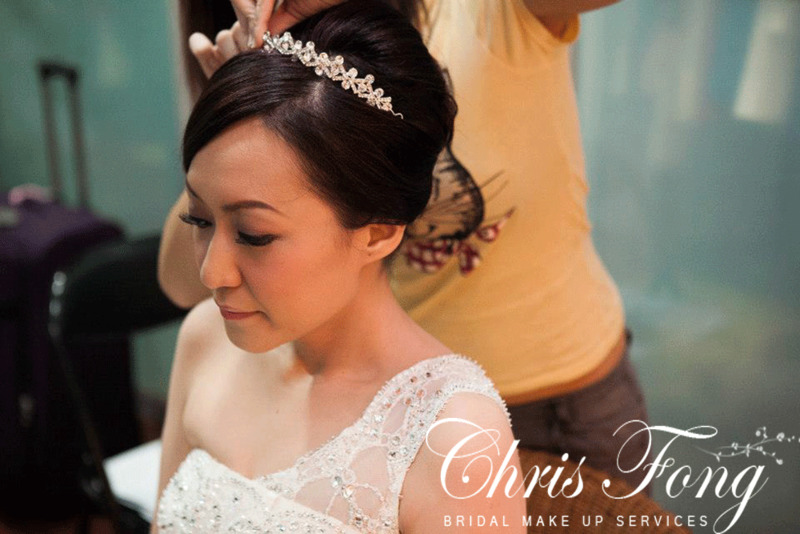 Chris contours the bride's facial and eyes attributes to compose an outstanding look intensifying their own natural beauty. 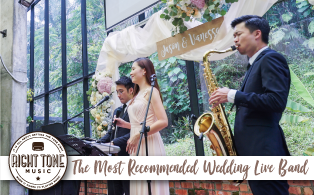 Read the actual brides' reviews and understand their perceptions of Chris Fong. 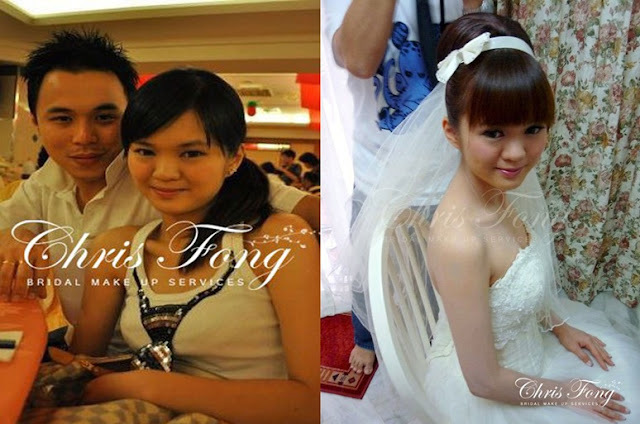 Brides loved the natural makeup and fantastic hairdo she created which turned them into a classic beauty. She is very talented and professional in conforming to the situation at hand. No more puffy eyes! The computing term WYSIWYG is the acronym for "What you see is what you get". Likewise Chris' deliverable is WYAIWYG which is "What you ask is what you get". 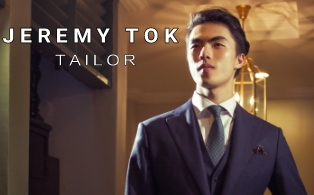 Her customers seemed to receive the styling they requested with high satisfaction. thanks Chris, your make up and hairdo is fantastic and so professional, its very natural and the hairdo suit me well. love it love it love it. 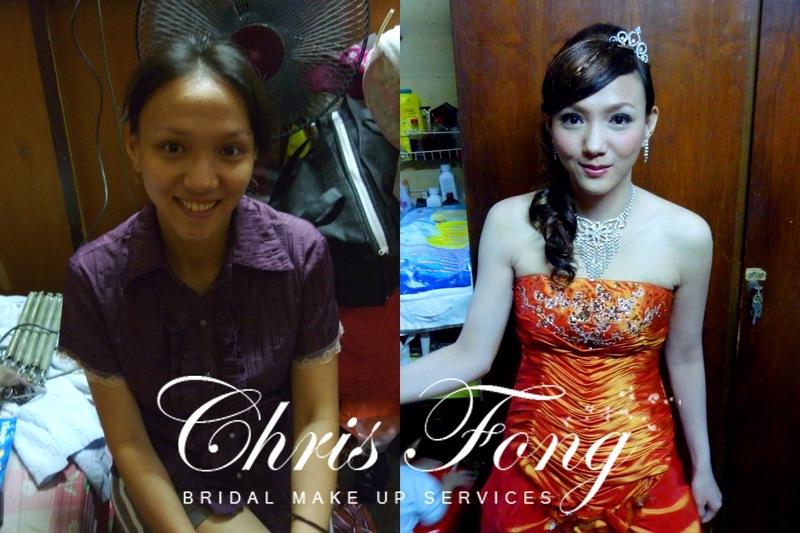 I gave Chris Fong a "Wow...." Amazing.... I just woke up with puffy eyes and she actually turned a monster into a beauty!! Bride: Connie. The natural makeup that is able to bring out the raw beauty in her. 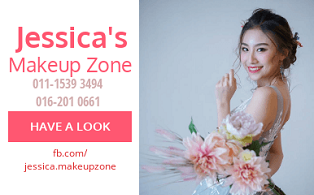 Bride: Jesslyn. Matching hair chain, pearl choker, half down soft curls, glamorous makeup and the princess gown. 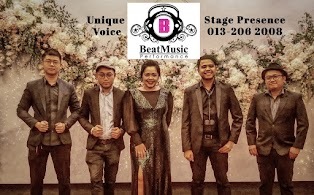 Bride: Viny. Chris made her eyes pop with radiance. Along with the side curly pony, she looks very elegant in that orange dress. 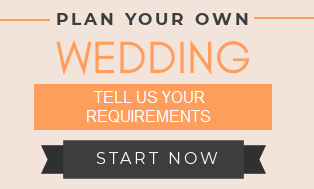 Bride: Ya Yee. Superb and amazing result by Chris. She understands how to refine the eye contour and facial attributes in the right way. Chris carefully draws the eye lining, matches the overall shade and lip color. 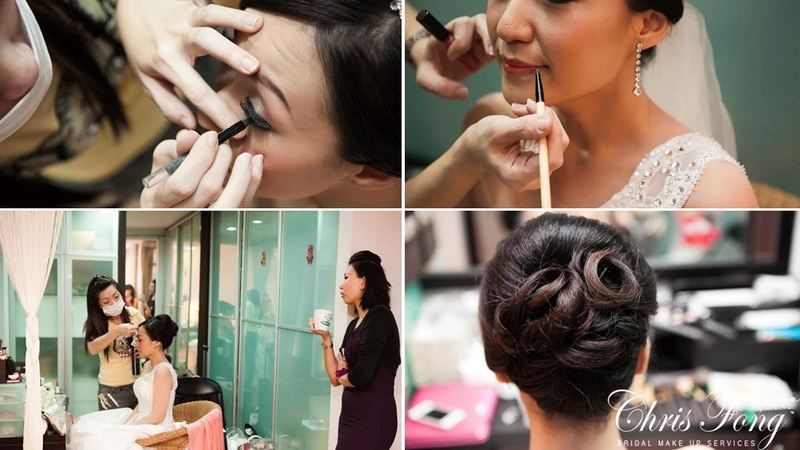 She gave the bride a classy twisted loop updo. 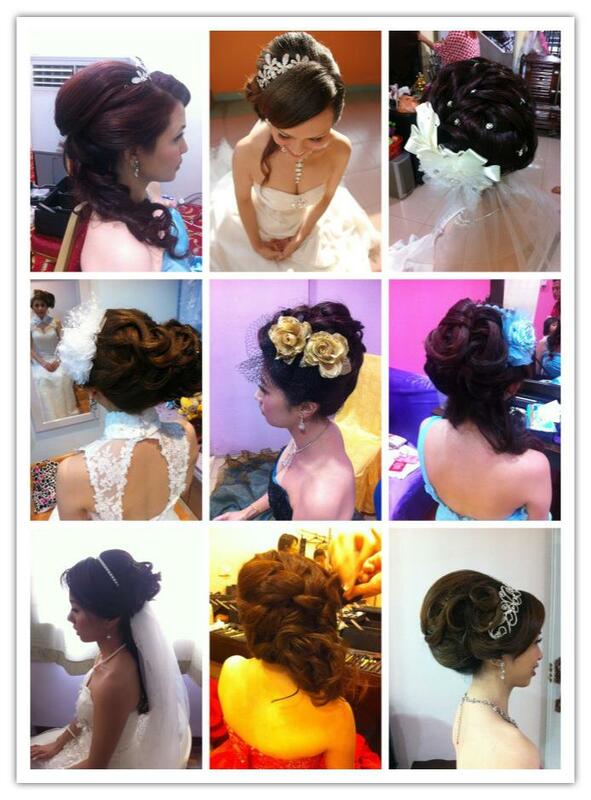 Pick your favorite hair style. I like the side low updo. 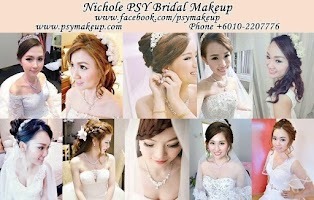 2 sessions (2 makeup + 2 hairdo) for wedding day and reception starts at RM800, free ampoules, fake eyelashes.